Let us start with economic patriotism. On Friday the 17th July 2009 the Guardian newspapers online version reported about the N500 billion naira stimulus packages for the industrial sector. This stimulus package is known as comprehensive industrial revival fund to help solve the problems faced by the real sector of the nation's economy. It's a good idea, just that the federal government should prevent corrupt practices from hindering this noble objective. Corruption remains the only obstacle to effective implementation of all government projects. The Federal government should insert a clause in this stimulus packages mandating all government agencies and ministries to buy made in Nigeria goods. The United States of America inserted a “buy American” clause in the $787 billion stimulus package. Beijing inserted its clause “buy Chinese” on its own $586 billion stimulus package. Though it might look like protectionism but an economy like ours needs to protect certain sectors of their economy. Am aware that the government is almost the biggest spender in the country. Spending these huge sums strictly on made in Nigerian goods can stimulate growth and create employment opportunities. It could as well prevent capital flight and will also have a multiplier effects on other sectors of the economy. If government can successful achieve this task of strictly buying made in Nigeria , then efforts should be geared towards encouraging the entire population to buy made in Nigeria . I watched former president Jerry Rawlings of Ghana on an interview when he said that his constant wearing of Ghana made cloths increased the sales of those materials. Former president Obasanjo wore a lot of Nigerian designed cloths during his eight year tenure as a civilian president. 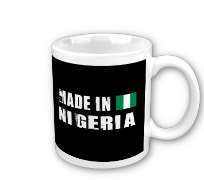 The federal government can use policy instruments to encourage made in Nigeria . Higher tariffs are suggested to discourage importation of goods that could be sourced at home. Outright ban on such commodities might be a preferred step. The Nigerian Customs and Excise has a big role to play in policing our boarders if the above objectives are to be achieved. Smuggling will run counter to the above idea. I was taken aback when the Guardian newspapers (online version) of July 17th 2009 reported what the Nigerian Customs said about smuggling. According to the Nigerian Customs Service (NCS) “smuggling had become difficult to check because of the involvement of privileged citizens and poor facilities for the operations by its personnel”. This is like the Police force telling us that they can no longer enforce the laws or that they can only enforce the laws partially. This revelation is a disaster for the country. If the Customs cannot police our boarders, then our lives and properties are no longer safe. No wonder there small arms all over the country. There is a positive correlation between what the Customs said and the high rate of crimes in the country. On the same newspaper, the Director General of the Standards Organization of Nigeria (SON) Dr John Akanya said that his life was being threatened by people opposed to his efforts to combat the importation of fake products to the country. Not long ago, over 80 Nigerian children died after being given a contaminated teeth medicine. NAFDAC under Dora Akinyuli fought a serious battle to clear the country of fake drugs etc. These and many more have made Nigerians an endangered species. Little wonder Nigeria is classified as a failed state. Cultural patriotism is an area which can benefit Nigeria . But the question is, are we good ambassadors of our culture? The answer is both yes and no. We can export our individual, state and regional cultures to boost tourism. Tourism is a lucrative business all over the world. Tourism is estimated to be the world's largest industry with revenues of over $500 billion dollars. It remains under developed in Nigeria . Employment opportunities can be created in this sector of our economy. Positive promotion of Nigerian cultures can yield revenues. Our films (Nollywood) have actually taken Nigeria to a level unimaginable to us. It's ranked the third largest film industry in the world. At a point in time, Zimbabwean government owned television was showing more of Nigerian firms. In the United Kingdom , many channels on the sky digital show Nigerian programs. Our home videos might be more popular outside the country than in Nigeria . Other Africans enjoy Nigerian films so much. Let us always watch and patronized our films industry etc. lets watch more Nigerian programs on the television. After all charity begins at home. We can also record and export various cultural dances of our people. There are a lot of art and cultural festivals going on around the world that Nigerians can participate in. A positive image of our country will be in the national interest. Nigerians will be amazed to discover how far we could convert our rich cultural heritages into a money making ventures. Locally we can promote our cultures amongst Nigerians, this way we will get to understand our individual differences. Am not sure we know each tribes culture too well. We can build our nation by understanding our differences (cultures, traditions, religion etc) bias and stereotypes will be removed if we understand each other. Sports patriotism remains one of the unifying forces in Nigeria . Nigerians exhibit a strong sense of unity each time there is a sports tournament or competition. The greatest of them all is whenever Nigeria is playing an international football match. Nigeria is a football nation. Nigerians love football. At such times everyone forgets whether he is Ibo, Efik, Ibibio, Yoruba, and Hausa etc. All that will matter is for Nigeria to win. All support goes to the motherland. Such unity in sports can be extended to other sphere of Nigerian life. May be we can use such avenues to heal some of the nations wounds. FIFA uses international football matches to campaign against racism. These days FIFA will beam to people their campaign message which is “Say No To Racism”. Nigerian authorities can use those moments to work towards uniting the country. In addition to the existing sporting competitions in Nigeria , more needs to be organized. More sporting tournaments need to be introduced since it might have the tendency to unite us. Rugby , Horse racing, car racing, biking, surfing, sailing, baseball, hockey, darts, etc can be introduced. Nigerians might produce world champions if well exposed to these sports. The government might not be able do this. Therefore the private sector and corporate bodies in Nigeria could take up this challenge. Our patriotic acts will advance the course of our nation building. May God bless Nigeria .